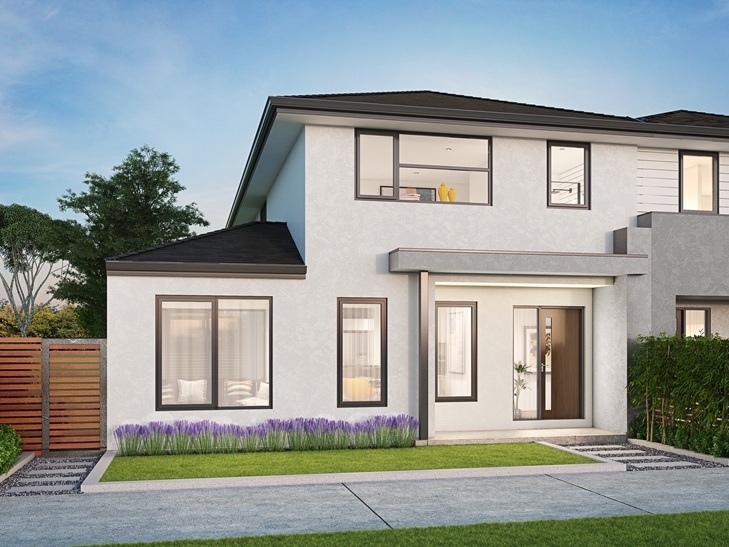 Live at Aurora; an expertly master-planned community, that has been thoughtfully designed at every level to maximise liveability and enjoyment. In our new neighbourhood, you’ll discover our range of exclusive residences, offered in a number of different configurations and sizes, ensuring they suit every type of buyer. Each dwelling combines exceptional design, functionality and value. Featuring three or four spacious bedrooms, bright open plan living, kitchen and dining, large private gardens, and two-car lock-up garages for the ultimate convenience. Two levels of living with impressive architectural flair, what more could you want? On the ground floor, the entry leads straight in to the open plan kitchen and dining with a spacious family area. Designed to impress, these residences feature four spacious, well-proportioned bedrooms, large open plan living and dining areas, high ceilings, and stunning fixtures and fittings throughout. From the quality finishes and carefully chosen fixtures, right through to the spacious living spaces, bedrooms and courtyards, our impressive range of Portland homes will be a popular choice for a myriad of buyers. Please note: A credit does not apply where the design constraints of your home require a variation on a listed quality or paid pack inclusion. We'll make sure you get the right mortgage advice. Established, with an exciting and flourishing future already mapped out, Aurora is a dynamic community you'll want to be a part of today. Aurora has been thoughtfully designed to provide residents with easy and convenient access to parks, walking & bike trails and many other facilities to create a friendly and vibrant atmosphere. Aurora’s natural surroundings offer a welcome retreat from the everyday hustle, yet brings easy connectivity to Melbourne’s CBD or wherever needed.